A 100% solids two component fast setting chemical cure waterproof coating designed for patios, balconies, chemical containment areas and other area where durability wear resistance is needed. 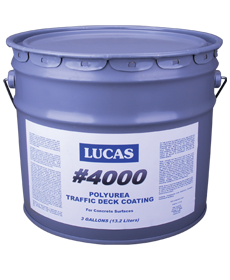 #4000 is UV stable and contains no solvents or toxic substances. Available in clear, gray, and sandstone/tan.